I went a little crazy with pink lips this past week. 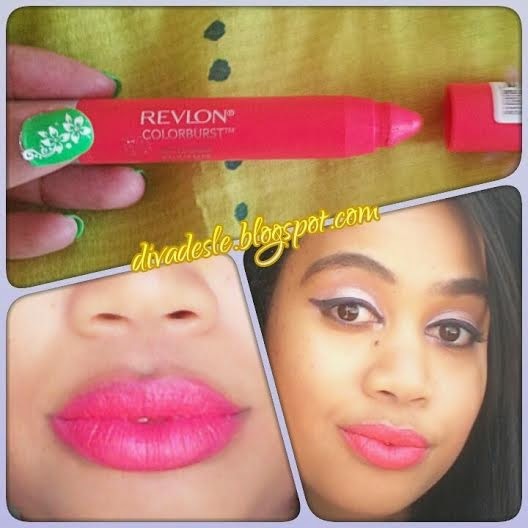 I have a new lipstick obsession and it is in the form of the new Revlon ColorBurst Matte Balms. I have been reading and watching so many reviews on this product, so I just had to go buy one for myself and see what the fuss was all about. Now let me tell you these balms were very hard to find as they have been selling like hot cakes in beauty stores. I literally went to four stores before I found one that wasn't a tester! The shade I wanted really badly was Unapologetic 210. It is a bright bold hot pink with a hint of coral that screams: ''I'm a diva!''. If you hate being centre of attention then this shade is probably not for you. This lip colour is like neon lights for your lips. I am totally in love with it. The ColorBurst Matte Balms comes in the same packaging as the Revlon Kissable Balm Stains that kind of resembles a crayon. I love the texture of the Kissable Balm Stains and still enjoy wearing them. These new matte additions have a lovely minty scent and more intense colour. They have a matte texture with zero gloss or shine. The word matte balm is misleading as these feel more like lipsticks than moisturising balms. Matte lipsticks do tend to dry out your lips so you will need to coat your lips in a moisturising balm before you wear these. Do make sure that your lips are smooth and exfoliated before you wear any matte lipsticks as these will draw attention to dry flaky lips and your lipstick will look like crumbling bread flakes. Not cool! The matte balms glide smoothly on the lips. One coat is enough to paint your lips but anyone who knows me, knows that I like to pack on the colour. So I glide the balms across my lips a few times to get the bright bold effect. This colour lasts really long on the lips. Even after eating or drinking the balm stays put. I have been eyeing the purple shade Shameless 215 as well. I think I need to add another bold colour to my collection. To conclude, I really love this matte balm in Unapologetic. I think it is a great addition to the Revlon Balm Stains. I bought Shameless, and I'm definitely going back for more. These balms from Revlon definitely make up some of my favourite lip products. Desle, that pink looks absolutely gorgeous on you girl! I need it in my life! Thanks Kim! Haha, yes go get it!!! I haven't tried this as yet, but seeing it on Emma Stone in the campaign and now on you, it looks gorgeous! Thanks for stopping by sweety, have a great creative week ahead! I haven't tried it but I know so many people are loving it :) Looks great on you! The colour looks AMAZING on you .. Wow ! I love the matte balms too, my favourite one is Showy.